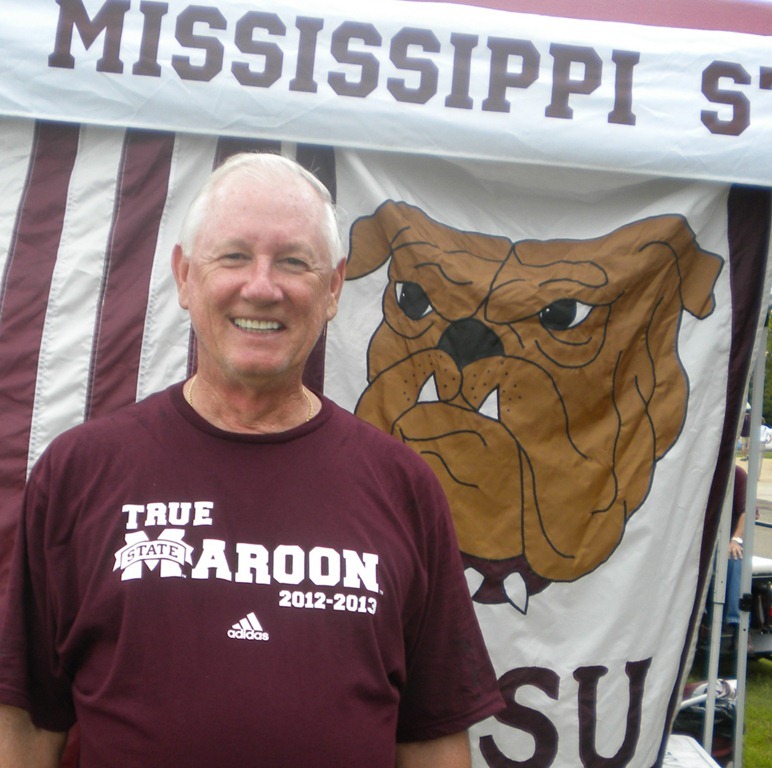 My friend, Ken Ramsey, (he was also my dentist until he retired but that’s whole nother story) today attended his 404th Mississippi State football game in a row. If State’s playing, Ken is there. managed to ride back down to civilization on a horse, get to the Denver airport, and buy a ticket to Meridian, leaving his hunting buddies to drive his van home. 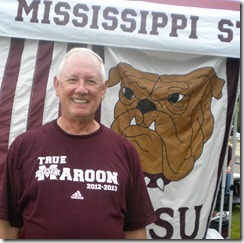 His wife Kathy picked him up in Meridian and they rushed to Starkville just in time to hear the National Anthem. Yikes, that was close. Today may have been one of the sweetest wins he has experienced. The weather smelled of fall, the Dawgs trounced Auburn, and hopes are high that this will be that year we’ve all been yearning for. Tighten up Bama, we’re coming to your town soon and we’re awesome. At the conclusion of the game I witnessed the most heartwarming expression between the team and the student body. Rather than heading for the locker room, the entire team trotted over to the student section and the two groups went wild as they verbally high fived each other. It was a beautiful thing to behold and it brought tears to my eyes. 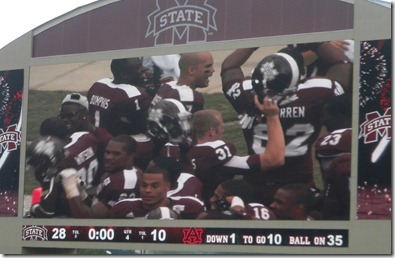 This may be the best team I’ve ever seen since I wandered into the land of the Dawgs. 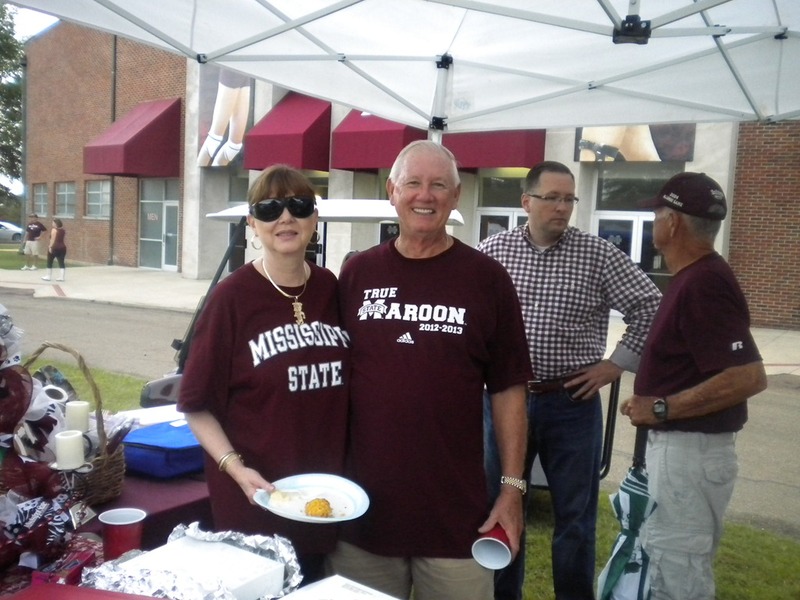 There’s not a “hotdog” in the bunch, and they have a secret weapon in Dan Mullen who has injected a new spirit and enthusiasm in this little Mississippi town. Who’d have thought a Yankee could be the one to save the day. 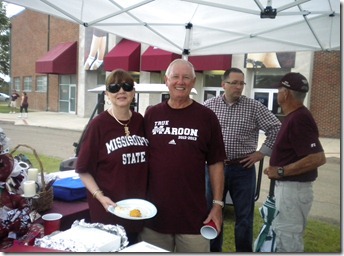 This entry was posted in Coping with retirement and tagged Dan Mullen - Yankee saves the south, Mississippi State trounces Auburn, MSU alum makes record game attendance by Emily Jones. Bookmark the permalink. Good post—and right on—-This team has the senior leadership to be really good–this next game is BIG–will really tell us what we have…..these are the games–after a great start–that tell the real “stuff” of a team…go dawgs!!!!!!! !